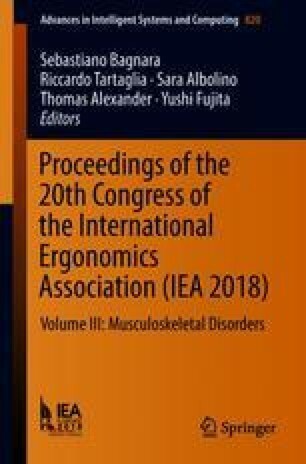 The aim of this study was to determine and compare the ergonomic requirements in the use of desktop computers and laptops. For comparison, postures in the sagittal and transversal planes involved while performing a typing and editing task on a desktop and laptop computers were verified. Thus, a case study was conducted with a Brazilian male of medium height, who works around 20 h per week in a computer. Nine spherical markers of 2.5 cm in diameter were joined up with duct tape on the right side of the participant and the positions adopted by the subject were analyzed in the use of a desktop and a laptop computer, through direct observation and filming, using the videography technique. Among the most significant results, the use of desktop computers compared to laptops allows a more upright posture of the head and neck, as well as a more neutral posture of the shoulders, elbows and wrist. It is concluded that the use of desktop computers has lesser biomechanical demands since it showed angles closer to a neutral position and consequently having a lower risk of musculoskeletal complaints.